I have already shown what I have been doing this week on my blog so I decided to start and finish a completely new project for this link up. I participated in a Echino Swap a couple of weeks back hosted by Sara at Sew Sweetness and haven't had the courage to cut into the fabric yet. I decided to change that today. I needed a bag to hold by newly acquired hobby of knitting for the trip to the family's this weekend and I thought this was a fitting project to use some of the Echino in. 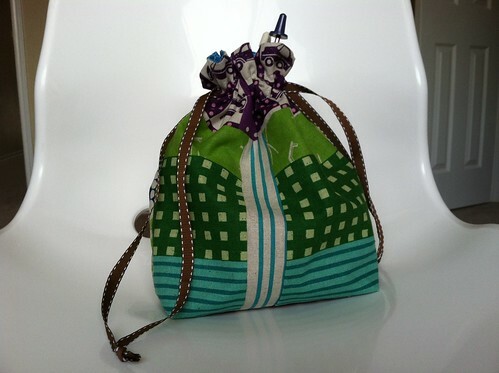 I used Jeni's Drawstring Bag Tutorial to make it and I definitely don't think this will be my last one. Only took about 45 minutes including seam ripping for not reading my directions... Anyone else have that problem? 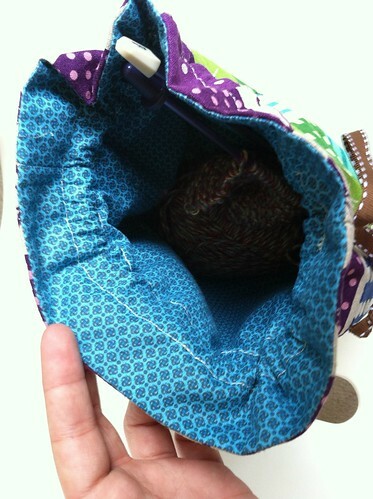 What a great knitting bag! I always spend a good chunk of time seam ripping when I use patterns ... or I just modify the pattern so I don't have to seam rip LOL!!! It's beautiful! Love those colors and prints! sew. quilt. explore. 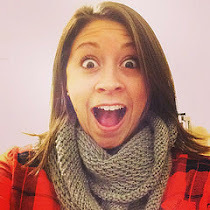 is the modern quilting blog that chronicles my adventures through sewing, quilting, and exploring this hobby. Tutorials, bee block adventures, and my mistakes are all included. 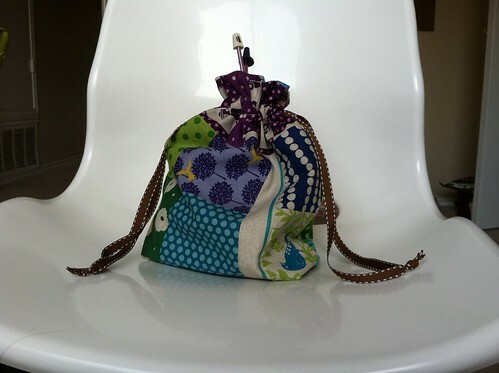 Improv Zippy Pouches and First Etsy Sale! I've Been a Bad Girl.